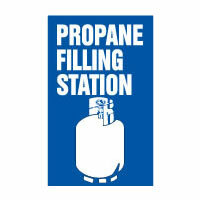 Our Propane Filling station has the capacity to fill two tanks at once and any size tank you may bring us! 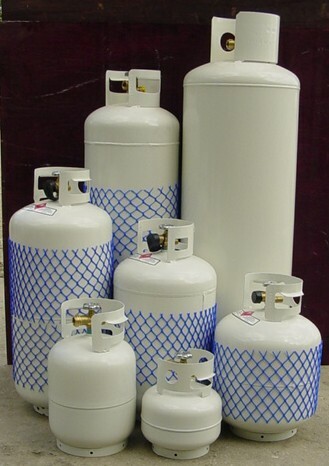 Propane cylinders must be up to code and in line with all laws. No need to worry, if you bring us your tank we will be happy to tell you if it is good or not. We will also allow you to get rid of your bad tanks at no cost! They cannot be thrown out and must be recycled. From tiny 10 pound tanks to a monster 100 pounder, we fill it all! Standard BBQ/ 20 lb tanks take 20 pounds of propane and weigh approximately 35 pounds when full. 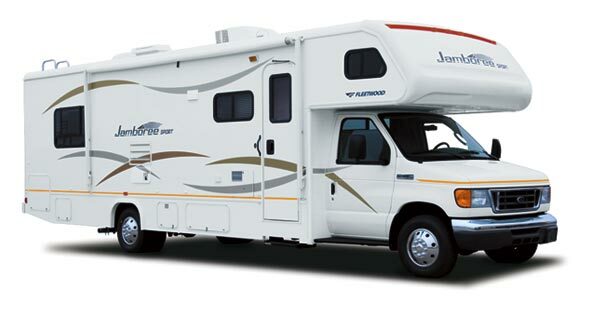 In addition, we also fill forklift tanks, easy-access RV tanks, and portable boat cylinders. NEW 20LB BBQ TANKS AVAILABLE FOR $36.82!